Throughout your medical weight loss program, you’ll probably learn a lot about the ways your diet impacts your health. What you eat influences your weight and can increase or decrease your risk for certain health conditions, such as heart disease or type-2 diabetes. Your diet can impact your mood, your ability to manage anxiety or overcome depression and can even influence your ability to think properly. Your sleeping habits are just one more aspect of your health that is often influenced by your dietary choices. In February of 2013, the University Of Pennsylvania Perelman School Of Medicine found that there is a strong association between food choices and sleep patterns. Using data from the 2007 – 2009 National Health and Nutrition Examination Survey, researchers found that those who consumed a high calorie diet were more likely to sleep less, often getting less than five hours of sleep every night. “Short sleepers,” or those who routinely slept less than five hours per night, were found to also drink water less often than those who slept seven to eight hours per night. What foods are keeping me awake? 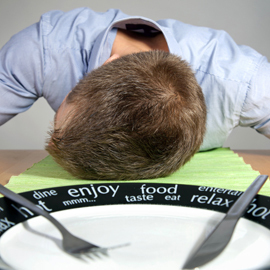 Sleep is impacted by environmental factors outside of your diet, as well. While changing your diet is likely to help improve your sleep, it may not be the consumption of the following foods alone that is keeping you up at night. However, reducing your consumption of these foods and adopting other healthy sleeping habits may help you finally capture that shut-eye you’ve been craving. Talk to your weight loss doctor about the role that these foods will play in your medical weight loss diet. Some of these “sleep stealing” foods may be best to avoid altogether, while others may be okay earlier in the day but could be hurting your sleeping efforts if consumed too late in the afternoon. In addition to changing your diet, try making several healthy changes to your sleeping habits. Going to bed and waking up at the same time every day (including weekends!) will help your body develop a regular rhythm. Also, exercising early in the day is shown to improve quality of sleep.